Before getting started, please read the Getting started manual created by the freeDSP people. Most of the information I got from there, with some tweaks to get it working from Ubuntu. Boot Windows 7 inside Virtualbox, start SigmaStudio and create a new project. Inside the hardware configuration tab, connect a USBi block to ADAU1701 and E2Prom block. 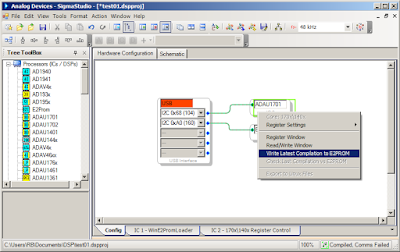 In the schematic tab, connect the two inputs to all four outputs using T Connection blocks (this is a simple 'pass-through' configuration to test the board and its sound quality when it's doing 'nothing'). Hit the 'Link Compile Download' button and ignore the warning. 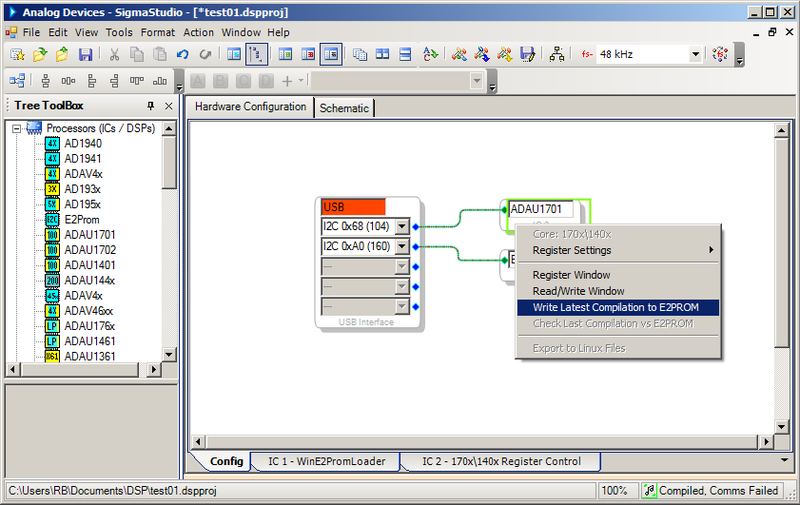 In the hardware tab, right-click the ADAU1701 block and hit 'Write latest compilation to E2Prom'. This will create the .hex firmware file that we will use inside Ubuntu. Transfer this file (e.g. via a shared folder) from Windows to Ubuntu. From this point on you can close Windows/Virtualbox if it annoys you. Now, open the E2Prom.Hex file in a text editor, copy all the text and paste it into the GNU screen window (using Ctrl+Shift+V). The firmware data will now be received by the Arduino and programmed into the E2Prom. 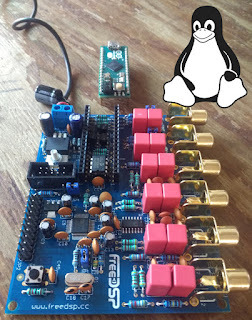 Disconnect all power, remove the Arduino from the freeDSP board (essential! 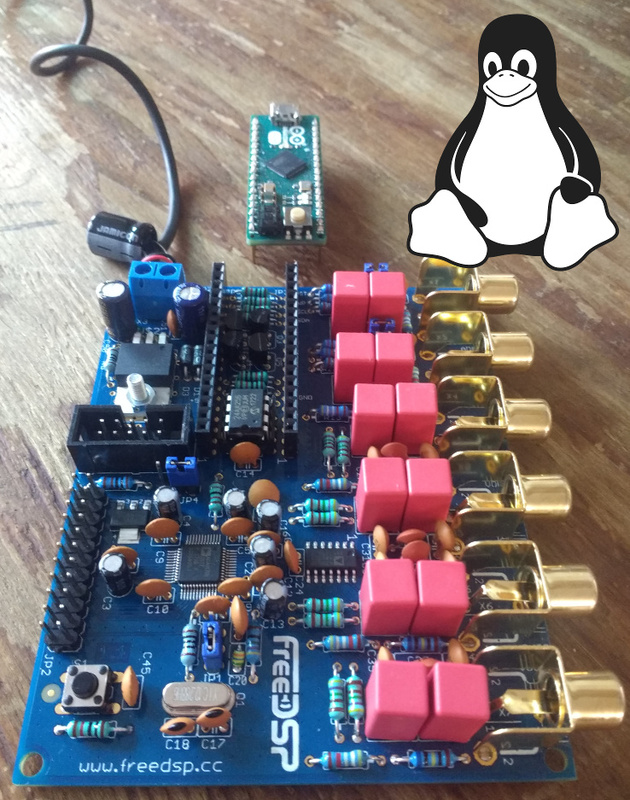 ), set the E2Prom jumper to 'write protected' and power on the freeDSP board (you might need to hit the reset pushbutton on the board. Please leave a comment for questions/remarks.